The title says it all. 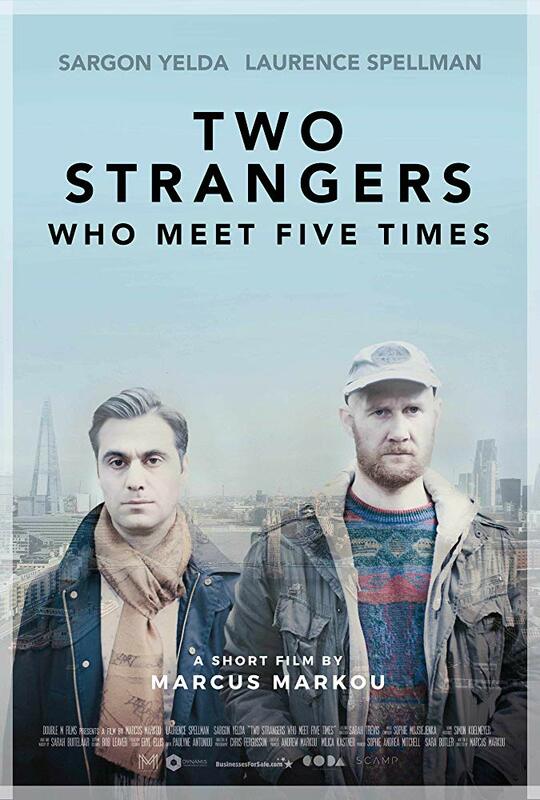 This is the story of two strangers who meet several times over the decades and we watch as their fortunes change and shift. While the film is a bit too contrived to fully flower as a short (this would be a killer feature or great short play) Two Strangers works because the performances are so good. The three actors playing the two roles (Laurence Spellman, Sargon Yelda, Dimitri Andreas, Alister Cameron, Luko Gale and Gino Azzopardi) are stunning. They take material that would in lesser hands make it resonant and moving. I would love to see a longer version of this film but with these actors.